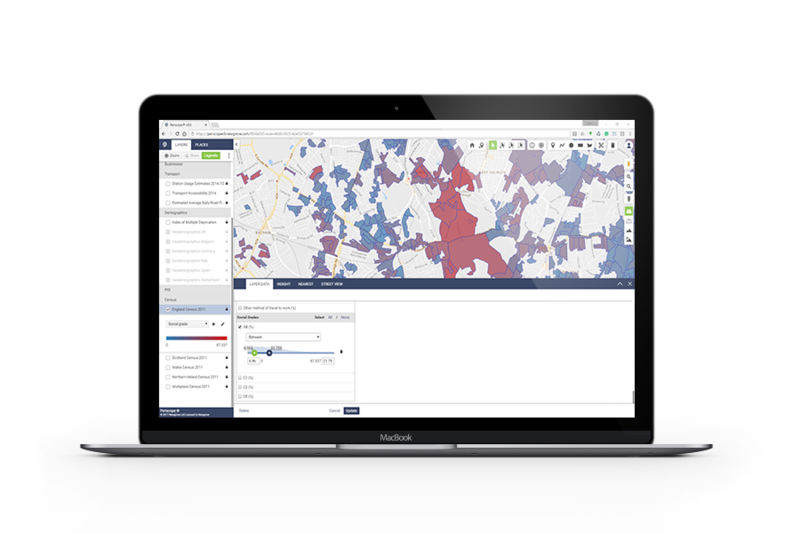 Use location intelligence to make strategic decisions across every part of your organisation. 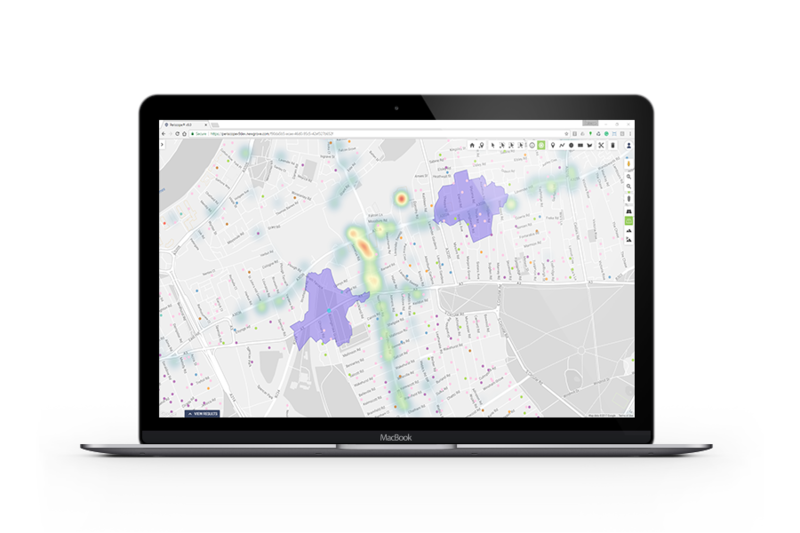 Periscope® is a complete data insight solution for national and international brands, enabling you to visualise up to 200 attributes using your own secure, corporate version of Google Maps. This intuitive software lets you see an overview of branch profitability, competitor impact and customer trends, helping you plan your next move based on actionable real-world data. 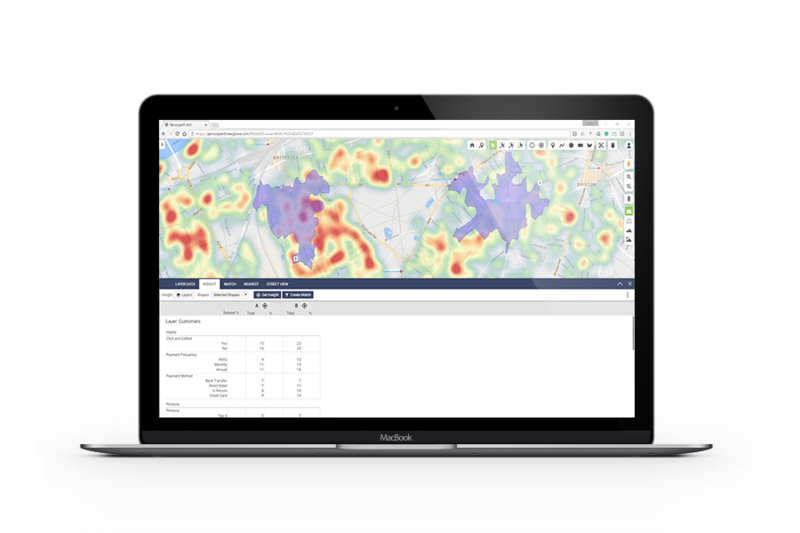 Maximise ROI on your next branch by taking location planning to a whole new level. Work out where current and prospective customers are, find the ideal store location, then incentivise prospective customers to utilise your services regularly. Periscope® generates in-depth marketing insights that can be used for location planning or standalone marketing initiatives. Find out where your customers are, where they go, and how they get there. 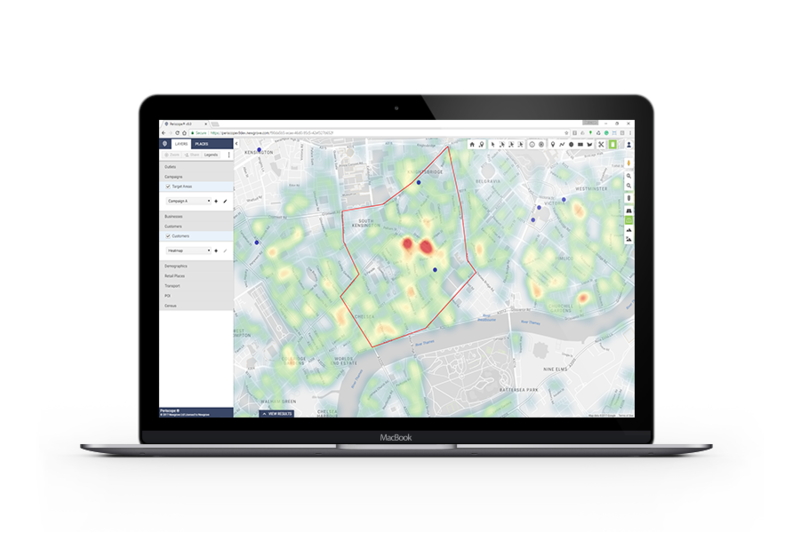 Periscope® helps optimise the performance of your commercial property portfolio by enabling you to visualise all the aspects of each location’s performance within a single view.